New Book Announcement + Pre-order Offer! Sora’s life was full of magic–until she discovered it was all a lie. Heir to Mt. Fuji’s spirit kingdom, Sora yearns to finally take on the sacred kami duties. But just as she confronts her parents to make a plea, a ghostly army invades the mountain. 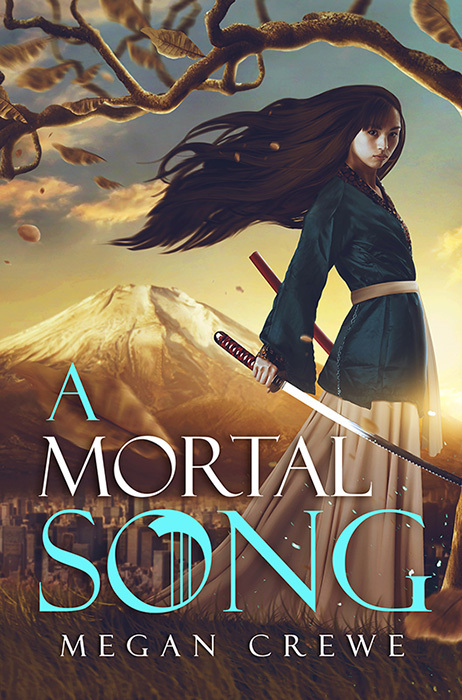 Barely escaping with her life, Sora follows her mother’s last instructions to a heart-wrenching discovery: she is a human changeling, raised as a decoy while her parents’ true daughter remained safe but unaware in modern-day Tokyo. Her powers were only borrowed, never her own. Now, with the world’s natural cycles falling into chaos and the ghosts plotting an even more deadly assault, it falls on her to train the unprepared kami princess. As Sora struggles with her emerging human weaknesses and the draw of an unanticipated ally with secrets of his own, she vows to keep fighting for her loved ones and the world they once protected. But for one mortal girl to make a difference in this desperate war between the spirits, she may have to give up the only home she’s ever known. Song will be released September 13th in Kindle ebook*, paperback, and hardcover format. You can pre-order from some retailers now with others coming soon! -An exclusive digital booklet following Sora’s journey through Japan with photos from the author’s travels and lots of story commentary. -An exclusive 25-page short story showing a key sequence in the book from another major character’s POV. -An exclusive high-res digital poster of the book cover, signed by the author. -Access to Megan’s secret bonus content webpage, where you’ll find deleted scenes from Song as well as her other books. -A chance to win even bigger prizes, including swag and signed books. Click here for more details or to claim your gift pack! *Other ebook types available on request. Email me to ask.